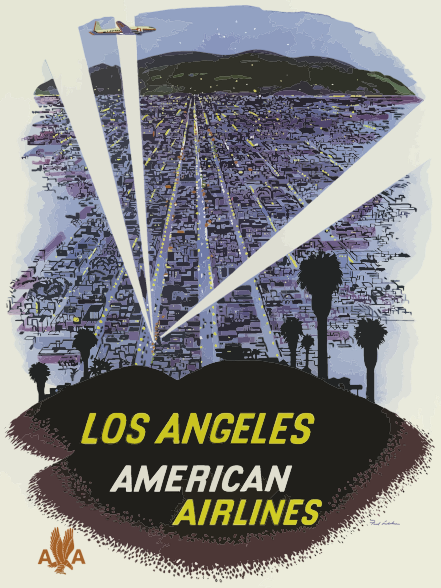 I thought I'd take a break from personal photos and post a few Vintage Los Angeles Travel Posters. 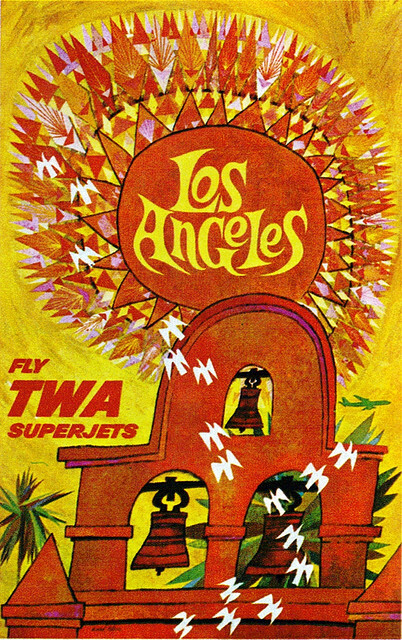 Above David Klein's Fly TWA Los Angeles c.1959 - a stylized view of Mission San Gabriel Arcángel's bell tower. The actual tower has six bells; the sun looks like something out of the It's A Small World attraction. The earliest travel posters I found (thanks to google images) focus on California, rather than just Los Angeles. 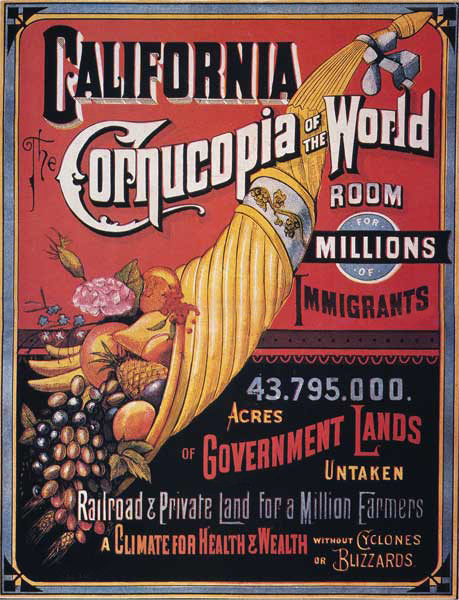 California Calls You c. 1900. Union Pacific Railroad pamphlet, University of California-San Diego Special Collections. California This Summer c. Chad Hyde 1934. 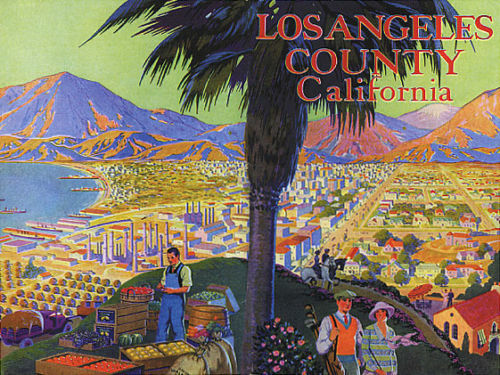 The city of Los Angeles (population 4 million) is located in the much larger county of Los Angeles (population 10 million). 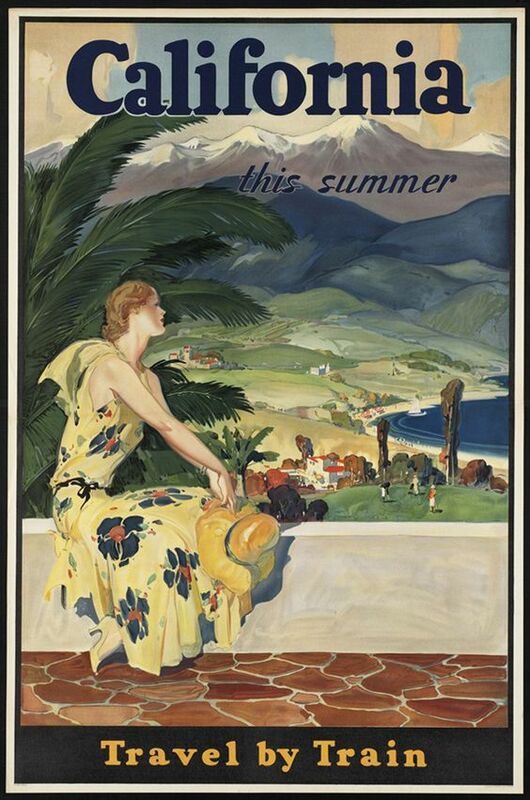 This 1920's era poster is highlighting Los Angeles County. This view reminds me a lot of the Baldwin Hills Scenic Overlook (where possible, I'm including some links to previous blogposts). 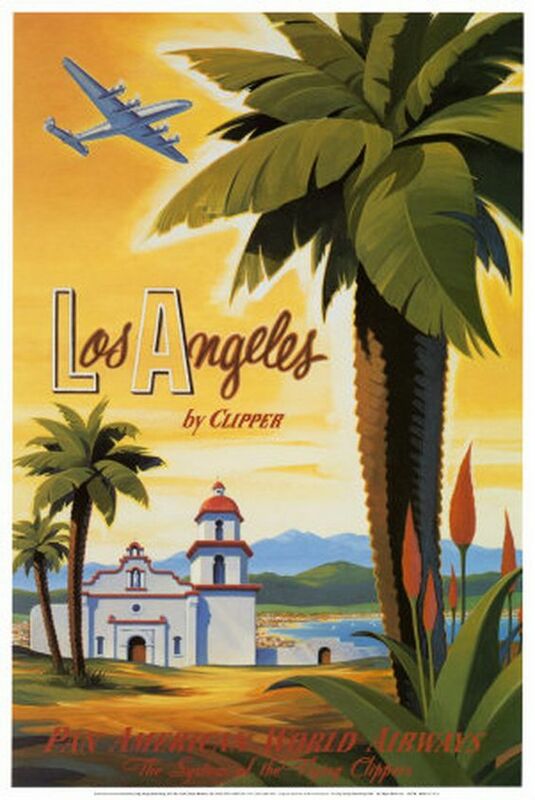 Los Angeles by Clipper by Kerne Erickson. Date unknown. This is the Basilica at Mission San Juan Capistrano - not in Los Angeles, but rather 55 miles (88 kilometers) south in Orange County. I tried to find the artist and date for these images. Not always easy - I came up blank on this one. Any suggestions, please leave a comment. 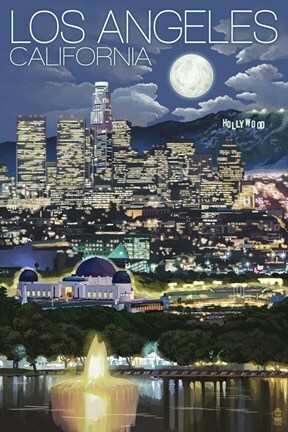 The above poster reminds me of the view from the Griffith Observatory. 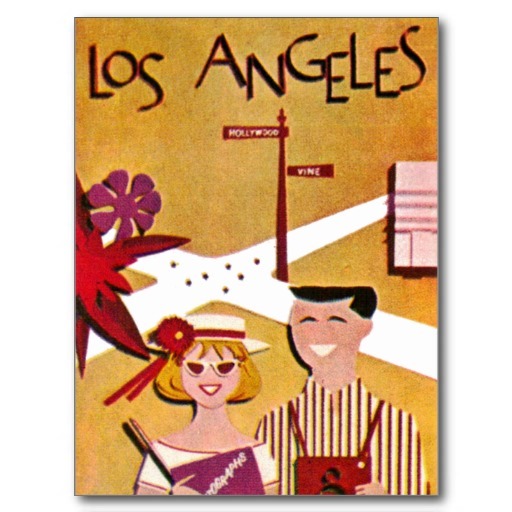 Los Angeles via Western Airlines with autograph book and camera in hand, at the corner of Sunset and Vine in Hollywood. c.1961, artist unknown. 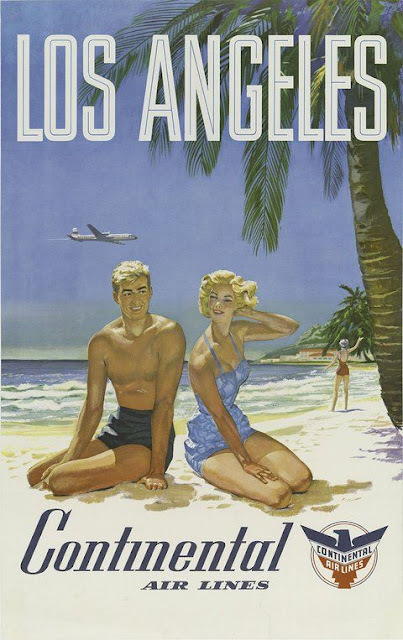 Sorry, Continental Airlines - but this doesn't look anything like Los Angeles. 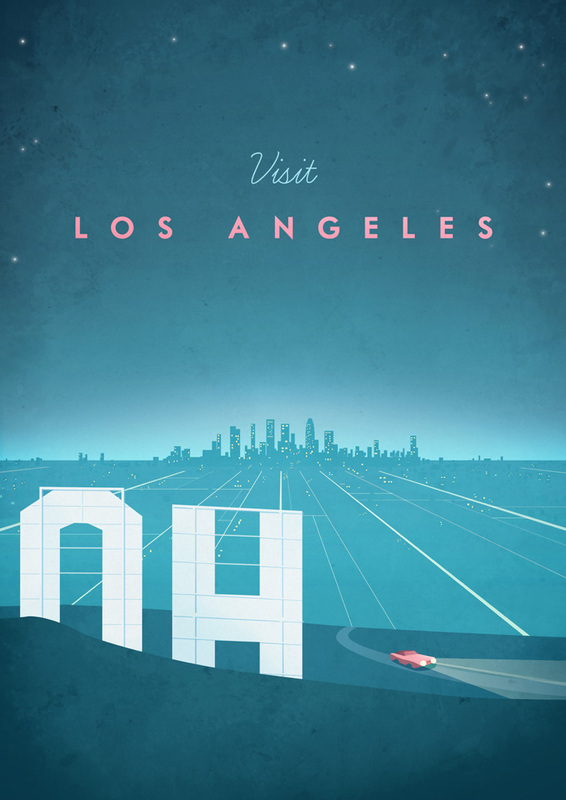 The white sand beaches and curved palm trees, makes this version of Los Angeles looks more like Hawaii, or even Florida, than Southern California. 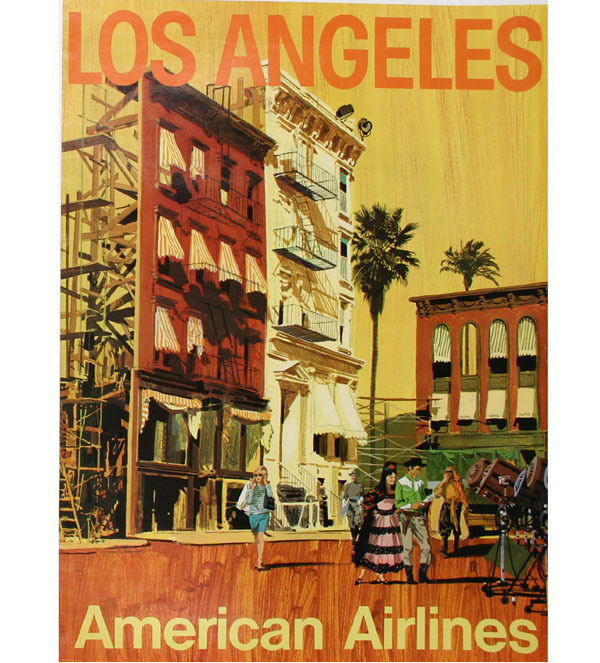 American Airlines Los Angeles c.1970 artist unknown. 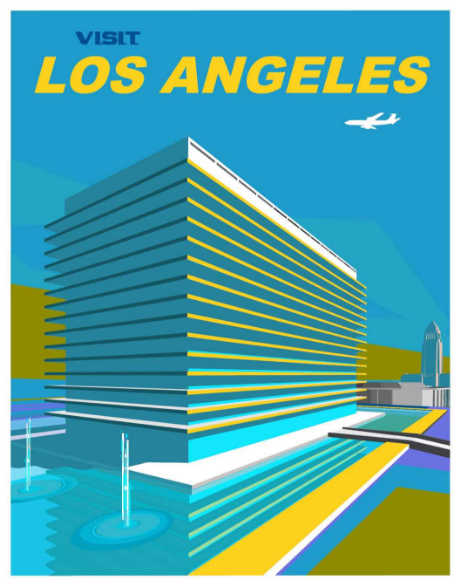 Los Angeles, American Airlines date and artist unknown . 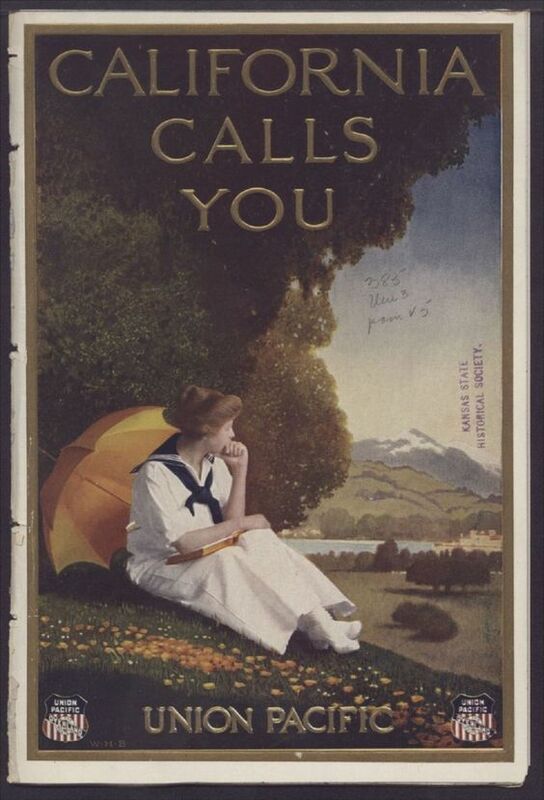 Apparently, this poster is located in the Smithsonian - even they don't have a date or artist, calling it an "orphan" poster. The bottom half looks like the city of Avalon on Catalina Island. Los Angeles, date and artist unknown. This is my personal favorite. Just houses and swimming pools. This could be almost anwhere in the eastern half of the Santa Monica Mountains, including the view from the Paseo Miramar trail in Pacific Palisades. Los Angeles - American Airlines - Hollywood California Movie Set, c. 1960 Van Kaufman. Looks a whole lot like either Universal Studios or the Warner Brothers Studios tour. 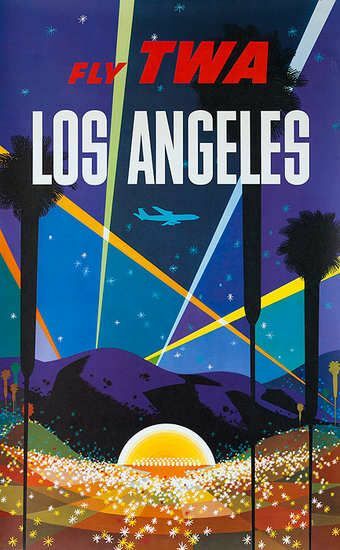 Fly TWA Los Angeles, Hollywood Bowl, c.1958 David Klein. Hollywood Bowl, where else? 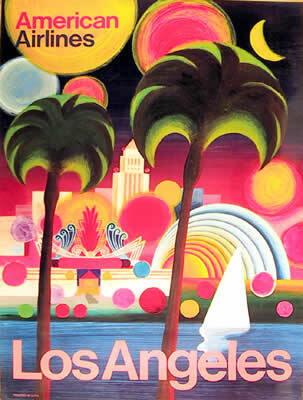 Los Angeles, California - Los Angeles at Night, date and artist unknown. 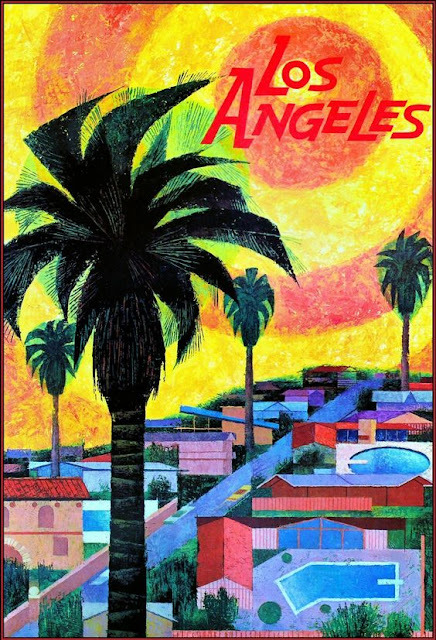 Visit Los Angeles, c. Michael Murphy, date unknown. This is the downtown Department of Water and Power Building. 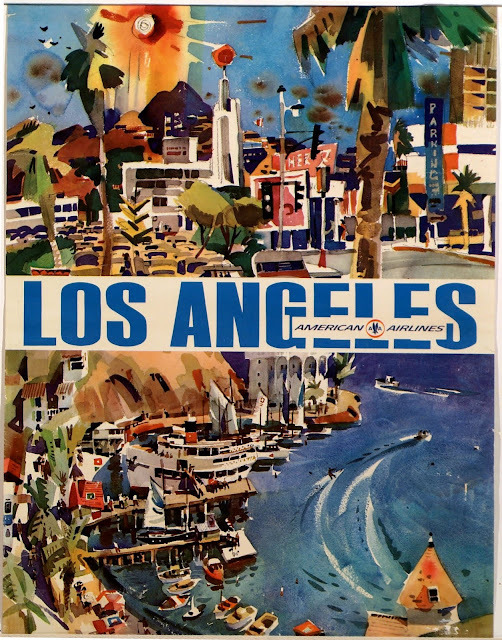 Visit Los Angeles by Henry Rivers, date unknown. The Hollywood Sign.